Last month, I listened to and enjoyed the audio version of the first of M.T. Anderson’s two Octavian Nothing books. As much as I liked the first book, The Pox Party, I did note that I think it would have been a more successful read for me in print. Basically, what was an enjoyable, but sometimes frustrating book might have been an out-and-out success in print, where I could have looked back and forth and slowed or sped up my pace as needed. I pondered whether to switch to print for the next volume in the series, but I decided to go with the audio again, mostly because I had already had it on hand. (I rent my audiobooks from Booksfree, which has a rental queue much like Netflix, so I always have the next book ready when I finish the previous one.) Unfortunately, I found this book to be less of a success on audio than its predecessor. I’m not even sure I would have enjoyed it in print, although I might have finished it. After listening to 5 of the 11 discs, I’ve decided than I’m just not into this and would be better off listening to something else. The book itself had a promising start. Octavian, having recently escaped from the College of Lucidity, settles into a semi-comfortable life in Boston with Dr. Trefusis. When he learns that Lord Dunmore, the British Governor is Virginia, is offering freedom to any black men who will come and fight against the rebellious colonists, he decides to go join Dunmore’s Royal Ethiopian Regiment. Eventually, the regiment finds itself stuck in Norfolk harbor. And there the story is stuck. The story itself is much more straightforward than in the previous volume, and there are some amusing moments in the first chapter. The old-fashioned language wasn’t really a barrier for my understanding. I think I’ve gotten used to it after listening to the first book. And I love the idea of looking at the American Revolution from a new angle. It was jarring to hear those I’ve always thought of as “Patriots” or “Americans” being referred to as “Rebels,” although that’s obviously what they were from the British perspective. The fact that the Rebels are fighting for freedom, while enslaving so many, is a tragic irony of American history that Anderson looks at square in the face. However, interesting ideas and a fresh perspective don’t necessary make for a good story, and on audiobooks in particular, a compelling story is key for me. When Dunmore and his soldiers are stuck on their ships, the story comes to a screeching halt. Most of the narrative at this point consists of Octavian’s musings in his journal—about his past and his future hopes, about his philosophical studies, about the details of his daily life. He also records the stories of the other men in his regiment. Some of Octavian’s thoughts are intriguing, as are many of the former slaves’ stories, but there still needs to be something more happening. In print, I might be happier because I could skim some of the discussions of John Locke—or read them slowly and thoughtfully if I’m in a philosophical mood—and I could page ahead to see when a big shift might happen. But on audio, I’m forced to march ahead with no notion of where I’m going and when relief might come. Many of you know that I have struggled in the past to give up on books, and I am sorry to give up on this one, since I know many people love it. But when I’m reading or listening to one book while wistfully thinking of the next book, why bother continuing? Pleasure reading should be just that—a pleasure. As much as I admire aspects of what Anderson is doing here, the book is not a pleasure. It isn’t engaging me emotionally or intellectually or in any other way that makes me want to continue. So onward to the next book! “The unusual and rich historical detail that made the first volume such interesting reading brings the second volume to life as well.” —Ready When You Are, C.B. 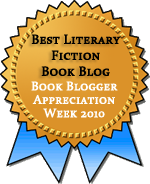 This entry was posted in Abandoned, Audiobooks, Children's / YA Lit, Fiction, Historical Fiction. Bookmark the permalink. This is the first review I’ve seen of of Volume 2. Not that I planned to read it, though…I hated Volume 1. Okay, maybe not hate, but there was definitely a strong dislike. Yeah, if you didn’t like Volume 1, I could see not wanting to read Volume 2. The one thing I think might make this more appealing is that the story is more straightforward. I hated–really hated–the first volume, the first time through. But I reread the first one to “prepare” for the second and really enjoyed it. Or at least better appreciated it. I would think that print would work better than audio. Then again, maybe other people are better listeners than I am! I’ve gotten to be a better listener than I used to be, but there are definitely times when I think print is better. This may very well be one of them! That’s the problem with audiobooks! I always feel bad that I’m simply not interested in them because I know I’ll not fully appreciate the work. I think it really does depend on the book. I actually got started with audiobooks by “rereading” past favorites. My first was either Lord of the Rings, in anticipation of the movies, or the first Dark Tower books, in anticipation of the publication of the last few books. It was only after doing lots of rereading on audio that I started branching out to do first reads, and I still have missteps, as was the case here.